As part of Good Form Running (GFR) we review posture, mid-foot landing, cadence and a lean when analyzing stride during a personal video analysis. They four keys described in the video by Grant Robison, 2004 Olympian, who started and created the program we know today as Good Form Running, help individuals run faster, easier and reduce the chance of injury. It's not rocket science, anybody can do it! 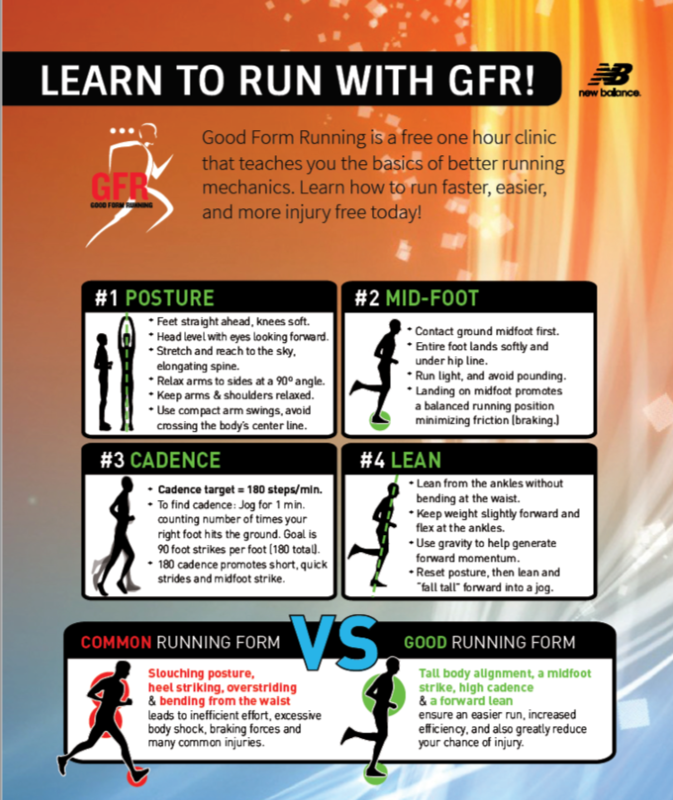 We offer free Good Form Running (GFR) Level 1 classes most every other Thursday from 6:30pm - 7:45pm at Running Lab in downtown Brighton. Learn new things about your running and discover how to improve your form! Come ready to be involved, active and open to new ideas!